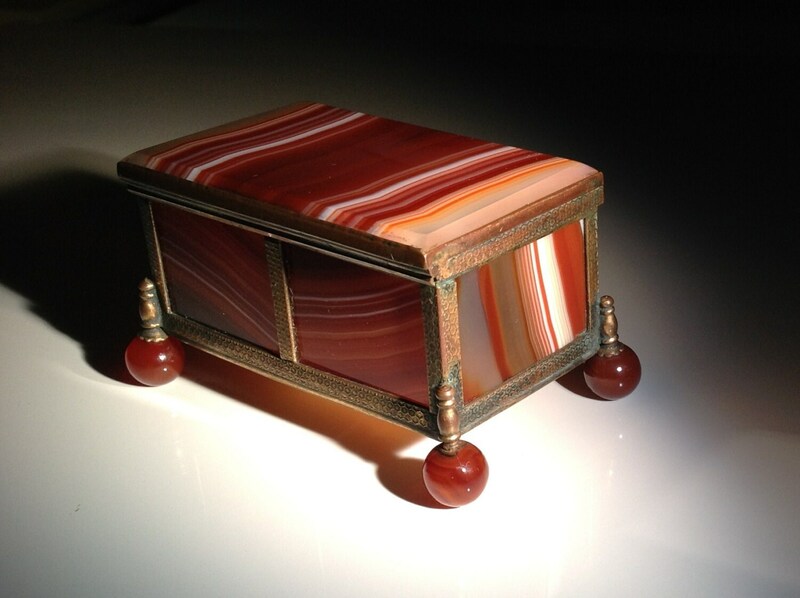 Stunning agate box consisting of faceted slabs set in a copper frame and resting on four sphere marble feet. 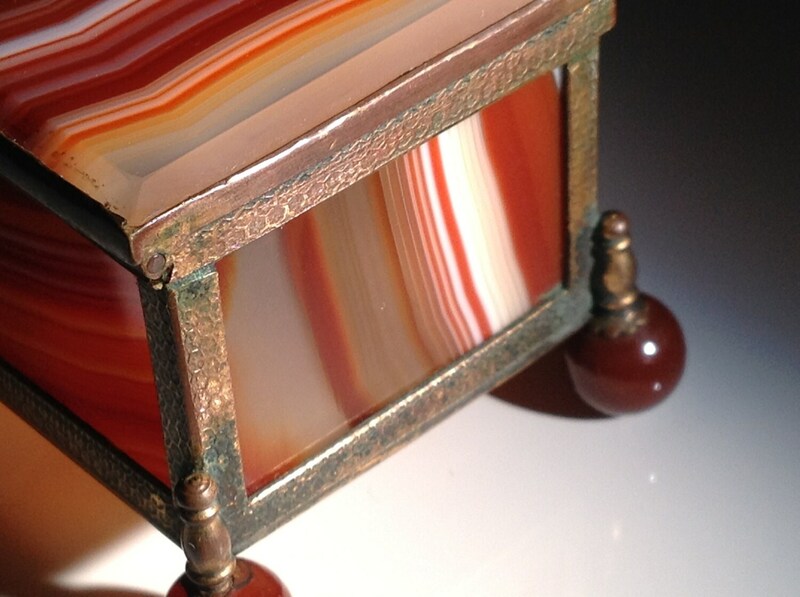 Copper has a hand tooled honeycomb motif and shows patina in the form of light verdigris. 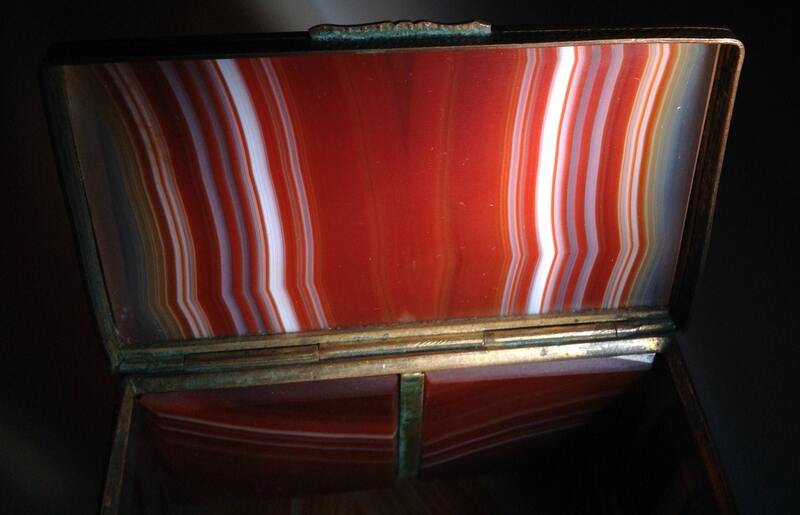 It was probably ormolu (gilded) previously. 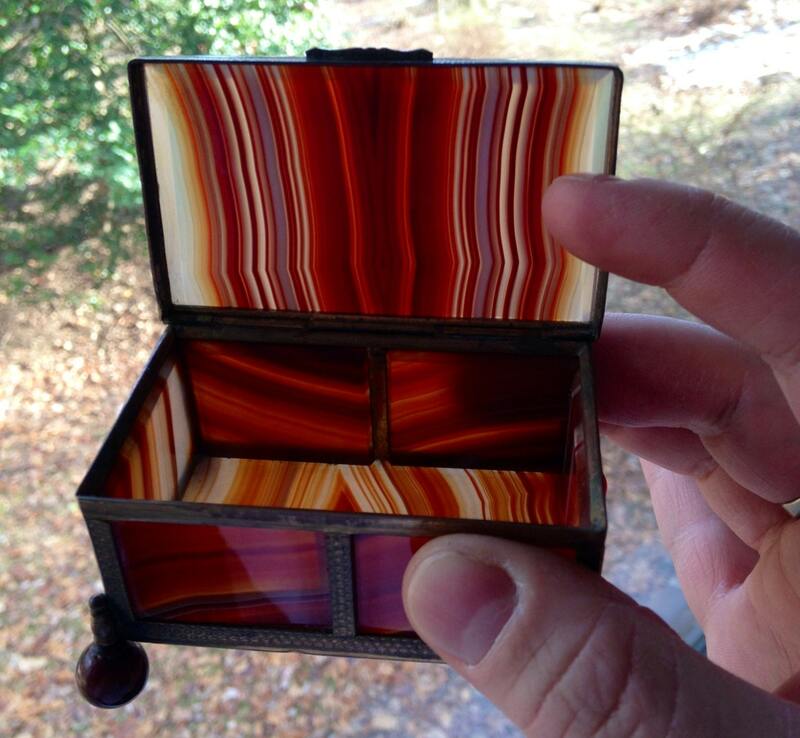 Box is large for an antique agate box-- about 2" x 2.5" x 3.75". Stones are high grade with complex fortification. Color is spectacular. Condition is excellent, as shown, and with no cracks or chips. 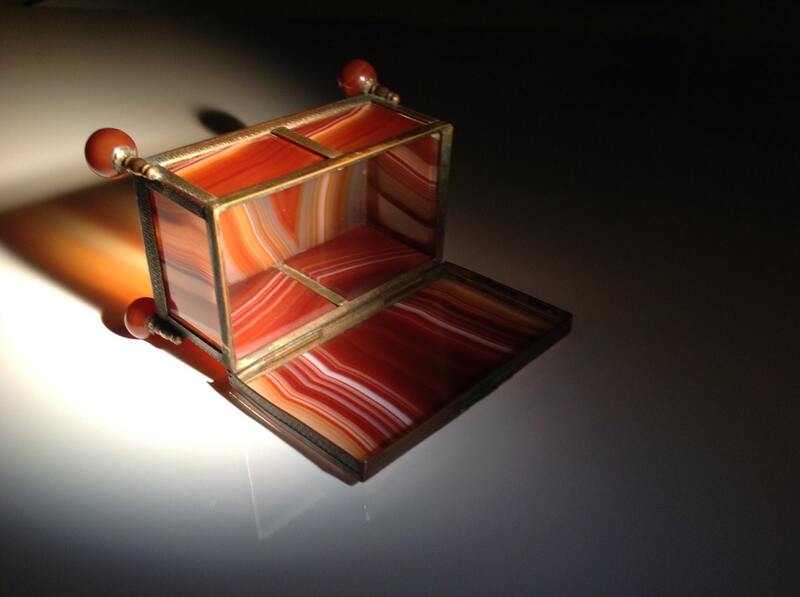 Origin of the box is German (Idar-Oberstein) with the stones having been sourced in Brazil from the mines discovered there in the mid-1800s. Reference: Walter Schumann, "Gemstones of the World, Revised and Expanded Edition" (Page 137).